JUDGING: A panel of respected builders and design professionals will review each completed entry. Winners will be notified in December 2018. Judges decisions are final. Green Builder Media’s annual Home of the Year and Sustainability Awards recognize the industry’s most authentic, advanced, beautiful, sustainable projects and the professionals who design and construct them. This year, we’re not only looking for the best green homes that include sustainable features, innovative design, whole home performance, and integration with the natural environment, we’ve expanded the award program categories to include new Most Sustainable Community/Development, Green Innovation of the Year, Best Small Footprint Living Project, Best Green Municipal Program, and Sustainability Superhero. 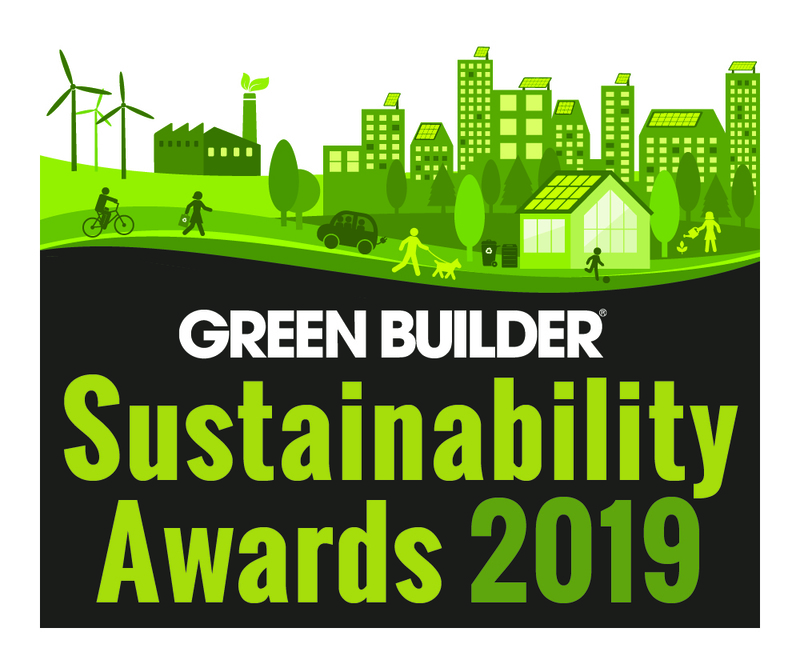 Winners will receive coverage in the January/February 2019 issue of Green Builder magazine, on www.greenbuildermedia.com and on our social media outlets. They will also receive five complimentary copies of the January/February 2019 issue. Additionally, winners will have an opportunity to celebrate their achievements in Las Vegas at the Sustainability Awards Dinner on February 17, 2019 at the exclusive Mr. Chow in Caesars Palace. Grand opening or first occupancy between January 2017 and December 2018. Third party certification (e.g., LEED, Energy Star, Environments for Living, etc.) is NOT an entry requirement. Total project is less than 2,600 square feet conditioned space.. HERS rating of 50 or better (verified HERS Index Score will be required). Project must include some form of alternative building technology. In your narrative, tell us why you chose the particular technology you employed in your project. Any homes utilizing off-site construction (IRC-Code) are eligible. In your narrative, tell us why you utilized off-site construction as well as any lessons learned. Total project is less than 800 square feet conditioned space. Communities/developments of all sizes and ownership structure are eligible. This innovation must enhance the sustainability of the built environment. This innovation must have been developed or debuted between January 2017 and December 2018. What the person has done to make them worthy of this award must have been begun between January 2017 and December 2018. Program must be managed by a U.S. municipality (town, city, village, borough, etc. ).